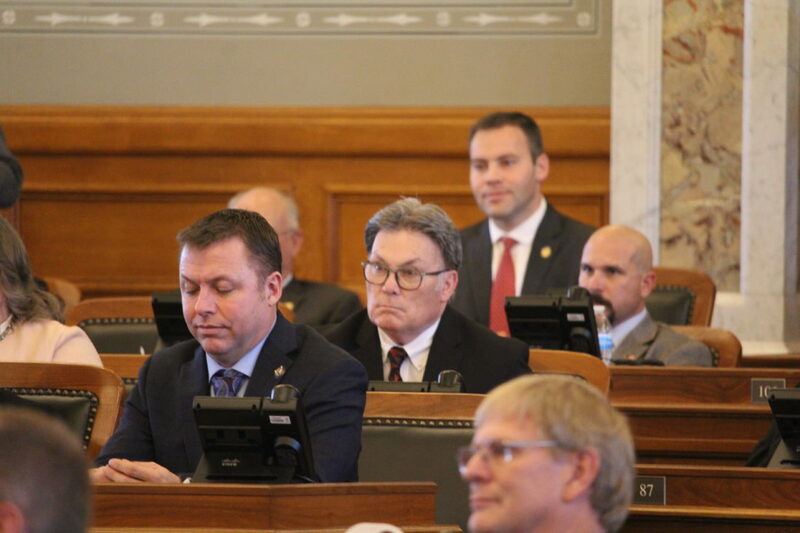 State Rep. Mike Amyx, D-Lawrence, center, listens to proceedings of the Kansas House of Representatives on Monday, Jan. 14, 2019. Amyx was sworn in to represent the 45th District earlier in the day. 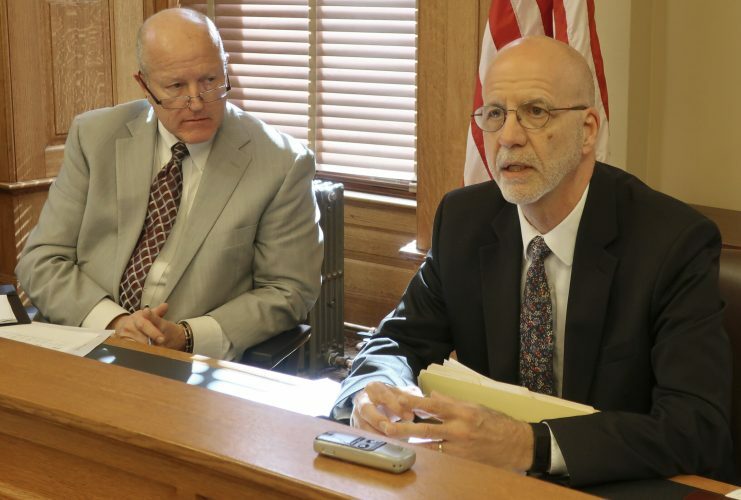 TOPEKA — With the addition of state Rep. Mike Amyx on Monday, Democrats entirely represent the city of Lawrence in the Kansas Legislature for the first time since at least 1917. While Lawrence is now completely blue, the rest of the House of Representatives took a turn in the other direction for an overall more conservative Statehouse. Chief Justice Lawton Nuss swore in Amyx as the representative for the 45th House District during the Legislature’s first official day of the 2019 session. Amyx, who was elected in November, replaces Republican Rep. Tom Sloan, who served in the Legislature for 24 years. 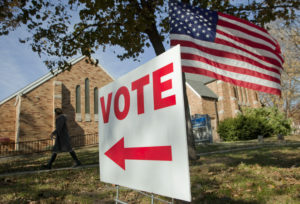 Lawrence will be represented by four Democrats in the House and two Democrats in the Senate. 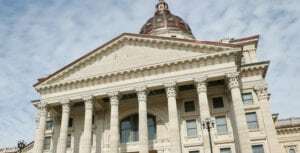 The city has had at least one Republican representative in either the House or the Senate each legislative session since 1917, according to the Kansas Legislature directories recorded by the State Library. Records prior to 1917 were not available. But the addition of Amyx in place of Sloan in the House won’t make things much different, said Rep. Barbara Ballard, D-Lawrence, noting that Sloan’s voting record was often in line with the Lawrence Democrats. Amyx, who served 18 years on the Lawrence City Commission and five years on the Douglas County Commission, said he’s ready to work with anyone to do what’s best for the state. 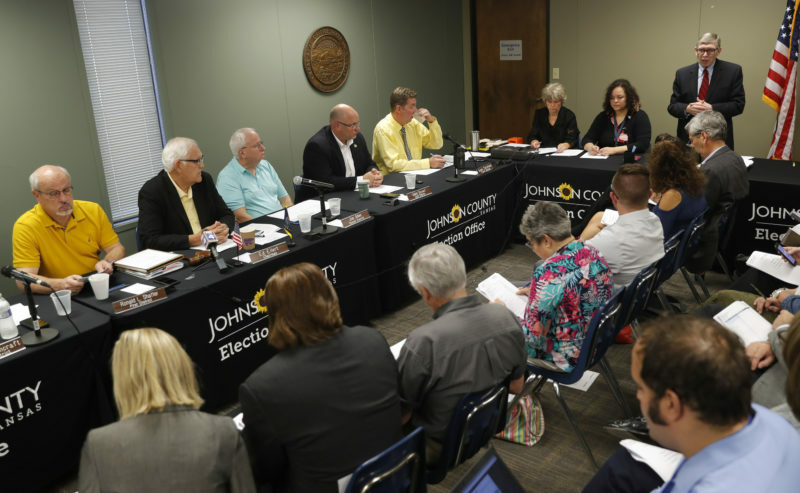 Rep. Eileen Horn, D-Lawrence, joked during the Legislative Priority Breakfast last week that the Democrats from Lawrence often receive eye-rolls from the Republican lawmakers in Topeka, but she plans to work with them as well as she can during the legislative session. Horn, who is entering her second session in the House, said she has learned to build relationships with lawmakers across the aisle. Ballard also thought the all-Democratic Lawrence delegation would still be able to work with the rest of the Legislature. 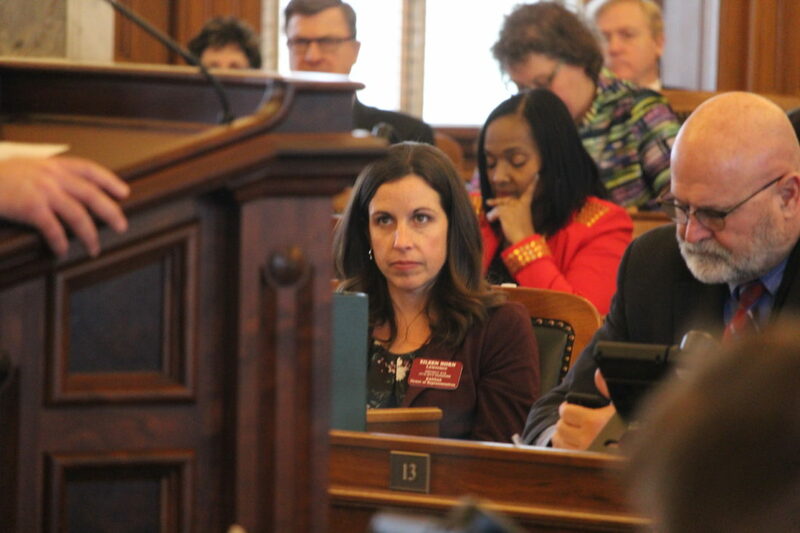 State Rep. Eileen Horn, D-Lawrence, lower left, listens to a speech during the first day of the legislative session for Kansas House of Representatives on Monday, Jan. 14, 2019. Horn said Kansans spoke clearly when they elected as governor Democrat Laura Kelly, who campaigned on working together to find solutions. In remarks during her inauguration Monday morning, Kelly pledged a bipartisan approach to leading the state. Rep. Boog Highberger, D-Lawrence, said the governor was more “sympathetic” to the issues that the Lawrence delegation wanted to address — such as expanding Medicaid and addressing K-12 education funding — but the real struggle would be working with the conservative members of the House. 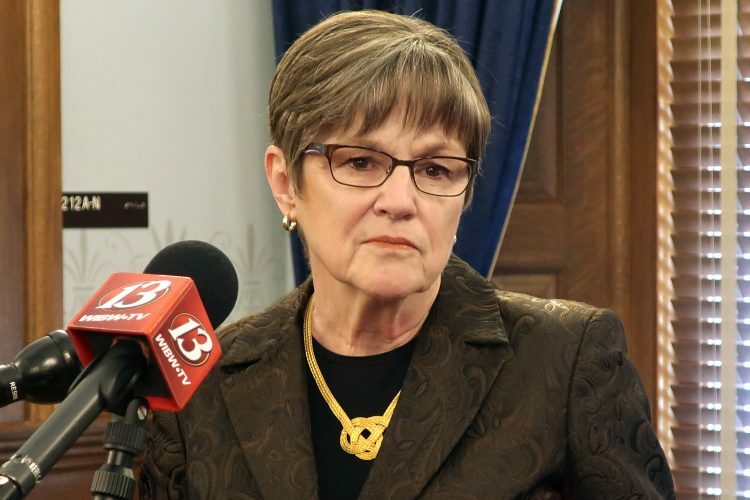 Horn said she thought the two parties found a lot more common ground on issues than the public seemed to believe and that lawmakers would be able to address the issues facing the state.